This week I’m hate-reading Sticky Fingers, a biography recommended by one of my favorite podcasts, the Slate Culture Gabfest. My parents were born during World War II. 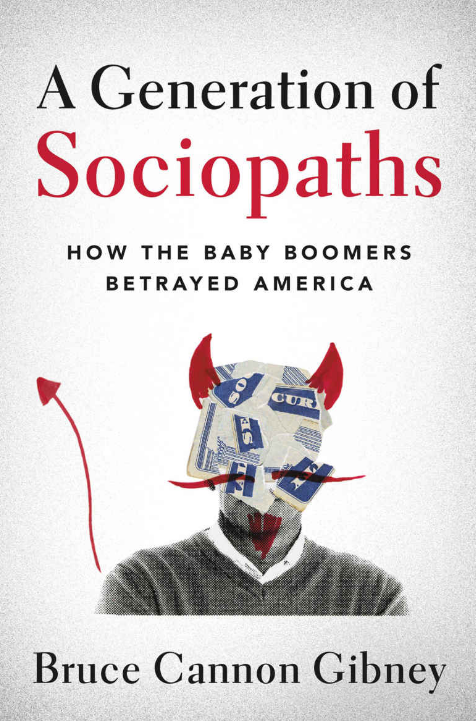 They’ve been propelled through life by the Baby Boomers – benefiting from the economic bounty, while avoiding the icky baggage. I’m in the opposite situation. I was born in the first year of Generation X, right after the tail end of the busted Boom. 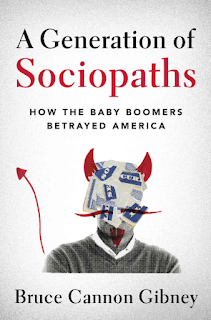 My contemporaries and I have spent our lives deluding ourselves that the Boomers will eventually loosen their grasp on some tiny corner of the planet. Like Charlie Brown trying to kick Lucy’s football. Younger Generation X-ers aren’t even tempted by Lucy’s football or other Boomer baubles. (Duh, all those tenured humanities professor positions are never going to open up.) These folks became jaded in their youth, without wasting energy on a pointless rejection-and-disappointment phase. Millennials know better than anyone else that nothing will be left of the planet if and when the Baby Boomers finally leave. Millennials grew up with front row seats. Unfortunately, they also picked up many of their parents’ narcissistic habits. Some days I feel like Job. 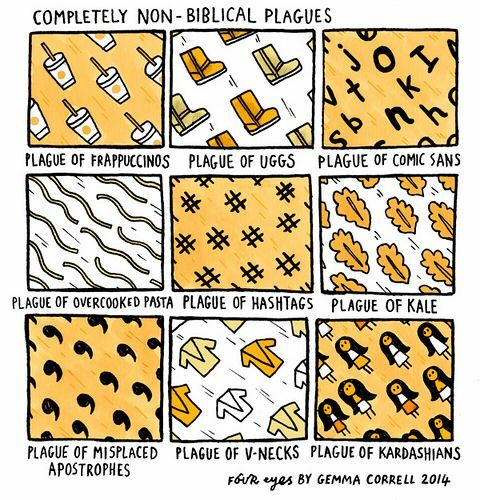 It’s not just the series of biblical plagues besetting me. My logocentric impulse can’t resist looking for meaning in any series of unfortunate events. I realize some of it’s my fault. A lot is just bad luck. 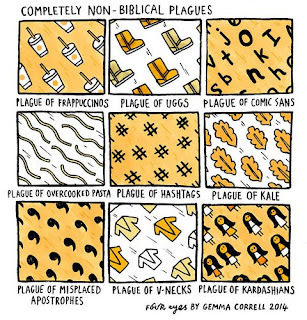 But sometimes there are patterns. Here is one story of how I keep being in the wrong place at the wrong time – usually because yet another Baby Boomer was occupying the space where I was trying to sit down. 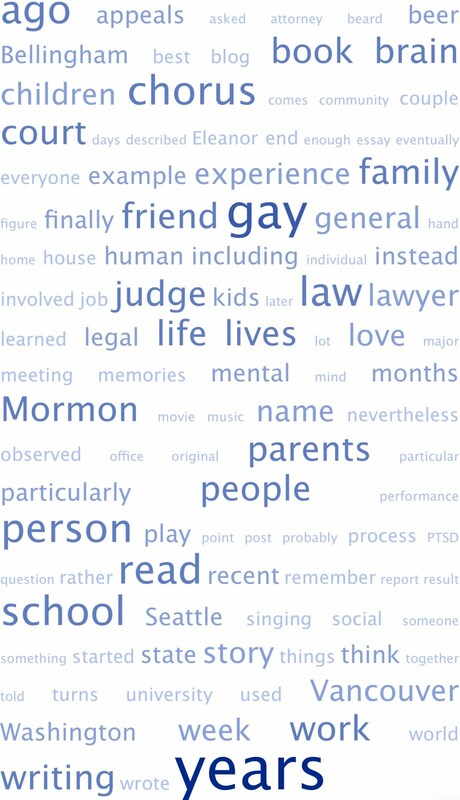 I went to law school because I was a tortured gay Mormon English major who needed to escape from Brigham Young University. Eventually I concluded I would make a good judge, particularly at the appellate level, which is much more academic and writerly than most trial-level courts. Over the years I worked closely with judges and bar leaders, acquiring useful skills and contacts. And I sought out opportunities to hear about the various paths to the bench. Meanwhile, I was the longtime chair of the nonprofit organization promoting inclusion in the stodgy legal profession – working with numerous other bar leaders in our efforts to diversify private firms, government law offices, and the judiciary. Everyone agreed I would never be confirmed as a federal judge in light of my activist background. 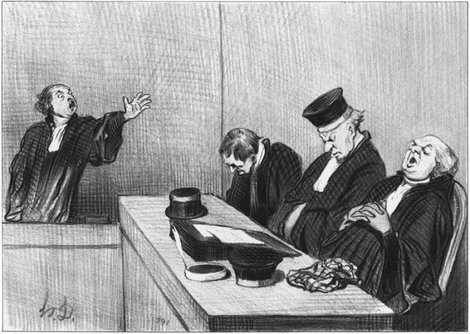 My talents and temperament also are ill-suited for serving as a frenetic state court trial judge. I didn’t have the burning ambition to run for the Washington Supreme Court. But I concluded I could make an excellent addition to Washington’s intermediate appellate court, the Court of Appeals. 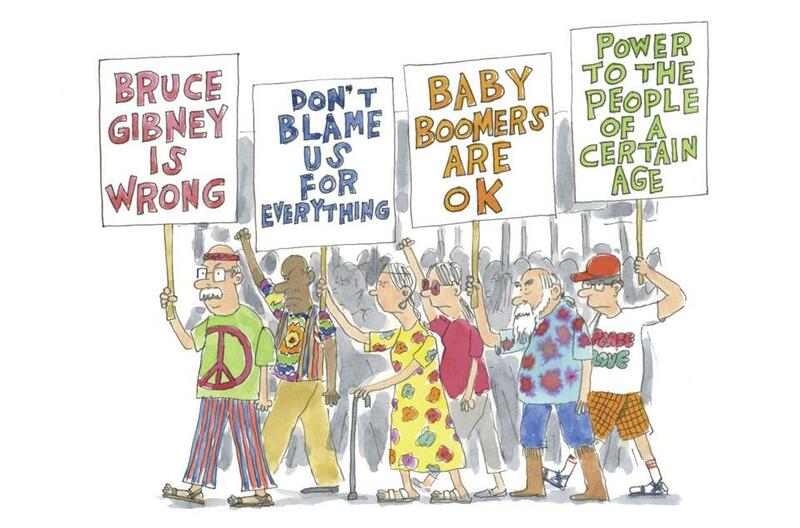 Even though I’m not a Baby Boomer. Paul Oetken is the first openly gay man to be confirmed to a lifetime appointment as a federal judge by the United States Senate. Apparently when New York Senator Chuck Schumer learned of this glaring omission, he asked his staff for binders of gays so he could propose a candidate for nomination by the Obama White House. Shumer’s first choice was forced to withdraw because he’d worked on some controversial gay rights matters. (Hmm.) In contrast, Judge Oetken had a successful but bland legal career after graduating from Yale. Paul was a year behind me in law school. Mostly I remember him for stealing my friend Steve’s first boyfriend Pookie. The last time I saw Paul was also my last trip to Lavender Law, the annual conference for LGBT lawyers and law students. As usual, I attended the session on “Pathways to the Judiciary.” Judge Oetken was one of the panelists. He recognized me, and came over before the presentation to tell me he’d followed my gay rights career since law school. In his remarks, Judge Oetken humbly acknowledged his good fortune. His career advice: becoming a federal judge is like being struck by lightning. This is Judge Jim Verellan of the Washington Court of Appeals. He’s a Baby Boomer. 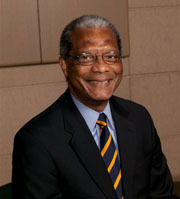 Prior to his appointment to the bench in 2012, he was the court’s beloved longtime Commissioner. Washington judges are elected by the voters. However, the governor fills judicial vacancies between elections, which is when they generally occur. Applicants are expected to pay their dues, and usually have to go through the grueling application process multiple times. Prior governors repeatedly passed over Judge Verellan. This was seen as his last chance for the job he’d patiently waited for. I was one of the other applicants in 2012. The previous appointment to the court had gone to an African-American trial judge from Seattle. 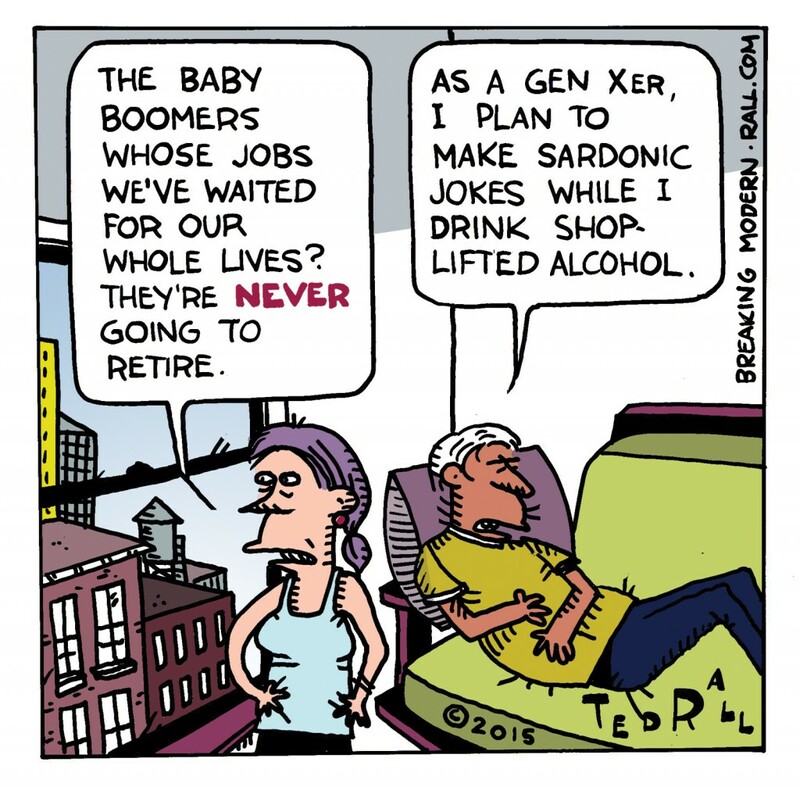 (Also a Baby Boomer.) Even though I hoped then-Governor Christine Gregoire would consider another diverse choice, I wasn’t surprised by Judge Verellan’s appointment. This is retired Judge Kenneth Grosse of the Washington Court of Appeals. He’s my parents’ age. After serving on the court for twenty-nine years, Judge Grosse retired in 2014, a year before I took my ill-fated job in Bellingham. Unlike the previous vacancies, this time there was no obvious front-runner. And there had never been an openly LGBT judge on either the Court of Appeals or the State Supreme Court. Like Charlie Brown, I dreamed this was going to be my year. This is Judge Mary Yu. She’s another Baby Boomer. In 2014, Judge Yu was serving as a respected trial judge in Seattle. She’s a tireless public servant. In particular, she reaches out to mentor other women, people of color, and LGBT members of the legal profession. For the last four years I’ve served together with Judge Yu on the Advisory Committee to QLAW: the LGBT Bar Association of Washington, as well as regularly working with her on other diversity and inclusion initiatives. While my application to the Court of Appeals was pending, health issues created an unanticipated vacancy on the Washington Supreme Court. To his credit, Governor Inslee appointed Judge Yu as Washington’s first openly LGBT appellate judge. 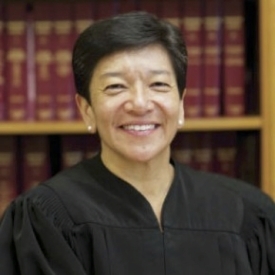 Unfortunately for me, now-Justice Yu’s appointment sucked all the gay oxygen out of the room. 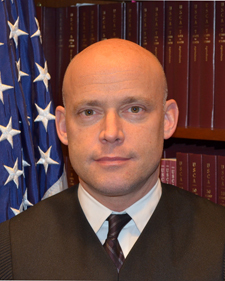 This is Judge Michael Trickey. He’s another Baby Boomer. 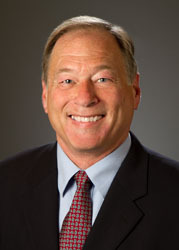 In 2014, Judge Trickey was serving as a distinguished trial judge in Seattle. Yep, the same bench where half of the Court of Appeals came from, as well as both Justice Yu and the Washington Supreme Court appointment before her. Judge Trickey had achieved every possible professional success in his decades as a trial judge. He could have coasted for a few more years before retiring with his generous pension. Or he could have made a little cash as a highly paid part-time mediator. Instead, he applied for elevation to the Court of Appeals. The governor was presented with a crowded pool of well-qualified applicants. Every candidate other than Judge Trickey would have diversified the court in multiple respects – age, gender, race, national origin, professional experience, sexual orientation, etc. In contrast, Judge Trickey had virtually the same pedigree as Judge Verellan before him: 60 years old, great guy, smart, and spent the last few decades toiling in the trenches as a judicial bureaucrat. (He does have better hair). Perhaps most importantly, Judge Trickey was the former law partner of one of the Baby Boomer leaders of the same court, who lobbied hard behind the scenes for his friend’s appointment. Sure enough, the governor appointed Judge Trickey to the Court of Appeals. After spending less than four years on the appellate bench, Judge Trickey recently announced his retirement. 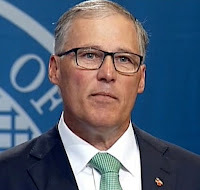 This is Washington Governor Jay Inslee. He’s another Baby Boomer. I voted for Governor Inslee. I think on the whole he’s been a good governor during a difficult time. I wish he were running for re-election. 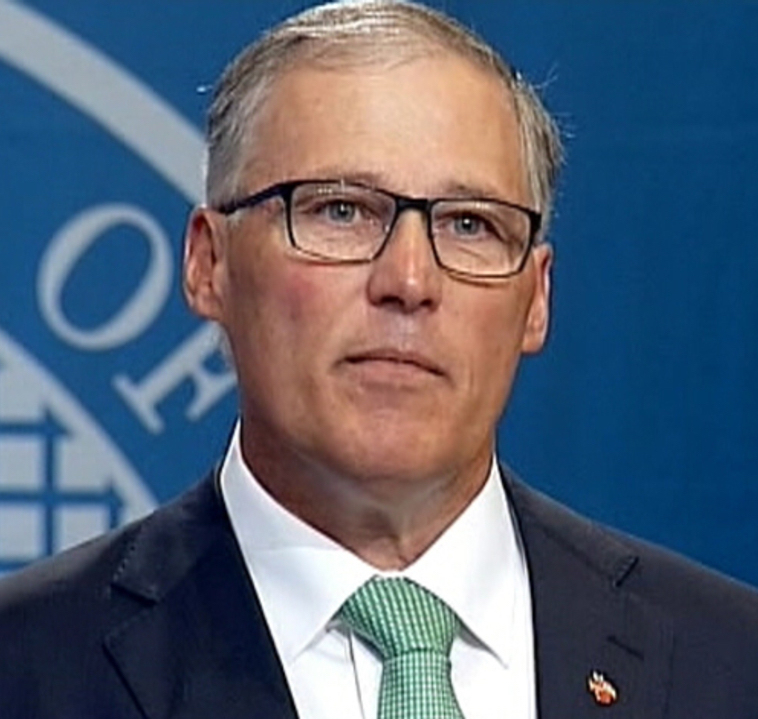 So far, Governor Inslee has had two opportunities to appoint judges to the ten-member Court of Appeals bench, which covers most of Western Washington. Each time, the governor looked in the mirror and at the pool of candidates, and then picked yet another straight white male Baby Boomer. Together with the previous governor, that’s a streak of three heterosexual white male Baby Boomers – two of whom replaced diverse female judges on the court. Systemic analysis becomes problematic when you focus on small samples and individual cases. There are numerous structural, statistical, and individual processes at work, as well as a lot of luck. As a participant, I’m worried about my own myopia, and the risk of merely “special pleading” for one’s own benefit, rather than identifying values everyone should be willing to live with. 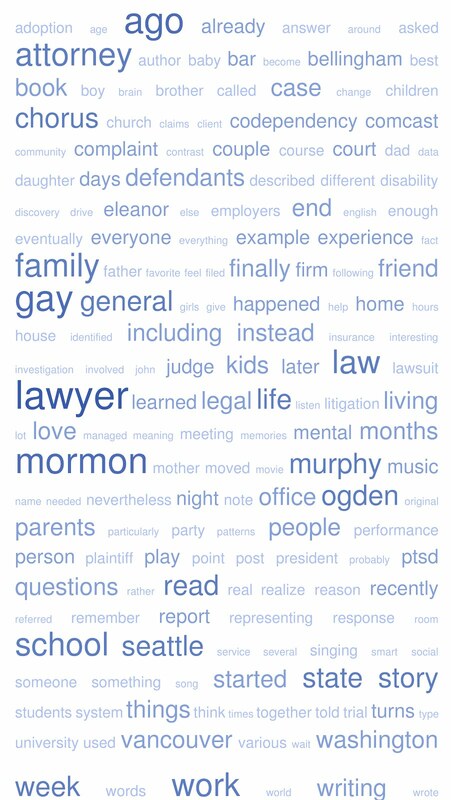 But long before I became a victim of employment discrimination on the basis of my disability and sexual orientation, and before I began applying for judicial appointments, I spent many years advocating for the members of the hidebound legal profession to acknowledge the effect of implicit and structural bias, and to confront the continuing barriers to real change. I'm comfortable using Governor Inslee and his predecessor’s series of appointments to Division One of the Washington Court of Appeals as a case study. This is Judge Ron Cox. He’s a Baby Boomer. He’s also the first African-American to serve on the Court of Appeals. He wasn't appointed by the governor. Instead, he ran for an open seat twenty years ago, after working as a bar leader and a partner in a large Seattle law firm. Like me. Judge Cox recently announced he’s also retiring this year. For the first time, there are two simultaneous Baby Boomer vacancies on the Division One of the Washington Court of Appeals, the state’s largest appellate court. Hopefully the governor will finally think outside the box. 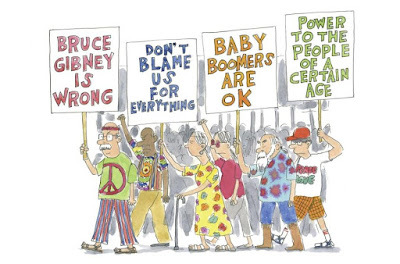 And maybe the Baby Boomers are finally ready to move on. At this point, however, I'm resigned to seeing not just me but my entire generation passed over. Governor Inslee will probably appoint Washington's first Millennial as an appellate judge. In any event, despite Lucy waving her football at me, I can’t apply for either vacancy. The Court of Appeals is one of the few positions in Washington with a statutory residency requirement. I no longer live in King County, which elects 7 of the court’s 10 judges. This is Judge Mary Kay Becker. She’s another Baby Boomer. Unlike most of her colleagues, Judge Becker came from outside the judiciary. She brings the perspective of a former legislator and community leader. And she’s a good judge. She’s faced the voters multiple times, often without drawing an opponent. (Occasionally a young lawyer or a disgruntled crank will give her a little electoral work out.) I ran into her this month at a diverse lawyer reception. Presumably Judge Becker will run for re-election, and presumably she will win. When she retires mid-term, the then-governor will appointment her replacement. Unfortunately, the front runner in the gubernatorial race is Washington Attorney General Bob Ferguson – the same ambitious politician whose incompetent flunkies discriminated against me at my last job. I suspect I’d have a better chance being appointed as a federal judge by Donald Trump, and confirmed by Mitch McConnell’s Senate. In Washington State, all candidates for elected offices must file their declaration of candidacy during a single week in mid-May. We’ll see what Judge Becker decides, as well as all the other ambitious and/or underemployed lawyers in town. Should I throw my hat into the Court of Appeals race? I’m an experienced appellate attorney and a recognized bar leader, with a diverse background in private practice and public service. There’s never been an openly LGBT judge on the Court of Appeals. As far as I know, no governor has appointed a self-identified disabled person, particularly anyone successfully living with mental illness. And I’m still unemployed, with too much time on my hands – obviously in need of something to occupy me besides blog writing, parenting, chorus rehearsals, and drafting cover letters for HR professionals to ignore…. Hmm. 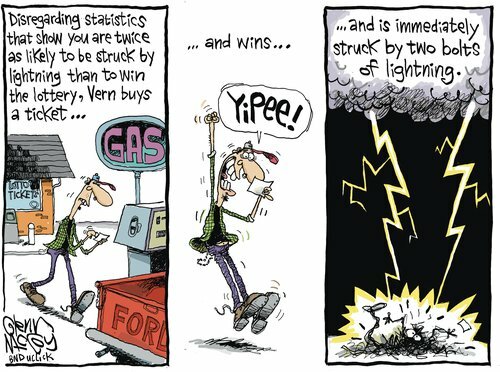 On the other hand, with my curse of plagues, what about the risk I’d immediately be struck by actual lightning?